Indie Retro News: Digger - IBM PC classic remade for the C64 and it's GOOD! Digger - IBM PC classic remade for the C64 and it's GOOD! After HayesMaker's big C64 round up was done, we didn't think any new games would come soon after the article was finished. 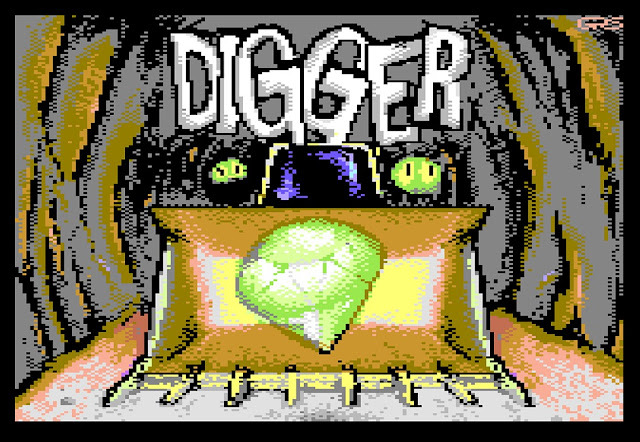 But yet here we are with a brand new remake of a game called Digger, which has been released by the (Digital Monastery) Hokuto Force Game Developing Division for the C64 . Now if you remember this game released on the IBM PC way back in 1983 by Windmill Software, you'll be pleased to know this version is a complete remake of that game to the C64 with a rather awesome tape loader by Richard Bayliss. Coded by Sergey Borodavkin with music by Uctumi and graphics by David Vigh and Sergey. Digger is a simplistic game to understand but with ever increasing challenges as the levels progress. The gameplay revolves around your character who must dig around each game area, collecting diamonds and dropped money bags while also trying to avoid the enemy which is wondering around trying to get you. Thank fully enemies can be dealt with if planned correctly, as if you time it just right, digging underneath a bag of money will cause it to drop on an enemy and crush him flat... or if you're under it you too! 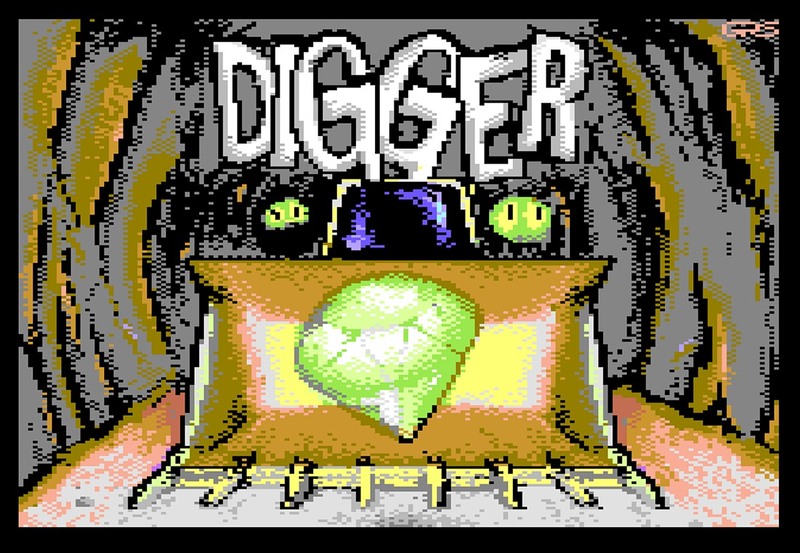 If you've got a C64 Mini, a real C64 or an emulator, Digger is a fantastic game to play and a game that all the family will enjoy throughout the years to come. It's full of Arcade charm, the music is brilliant throughout, the graphics perfectly suit the remake, and the main character is easy to control and thankfully wont kill your joystick. Seriously play the game, you'll really enjoy it!